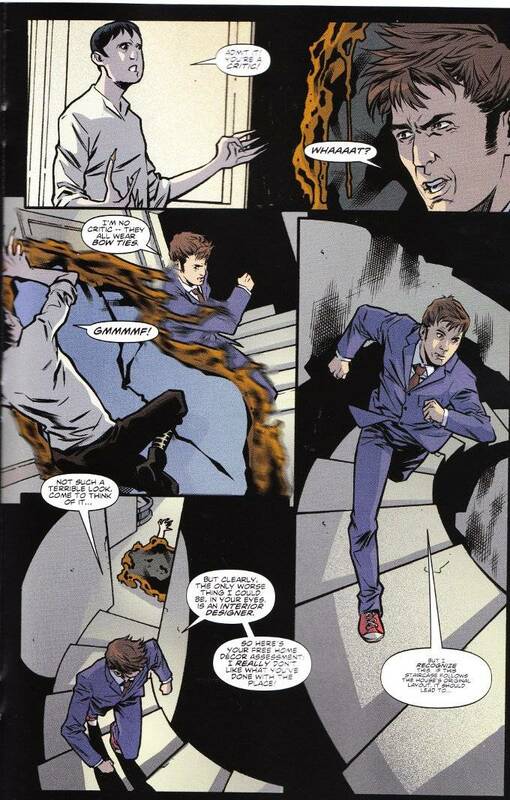 Nick Abadzis delivers another brilliant script with this fourth issue of The Tenth Doctor's new adventures. Alien cultures and fauna are rarely explored in much detail in the Doctor Who television series - the format of a television show doesn't allow for it! It's a real treat then to see these subjects explored through the more sedate pace allowed by a comic book story. That being said, what really sells this story is the artwork. Elena Casagrande does her usual stellar job on the pencils and inks for the main section of the story. 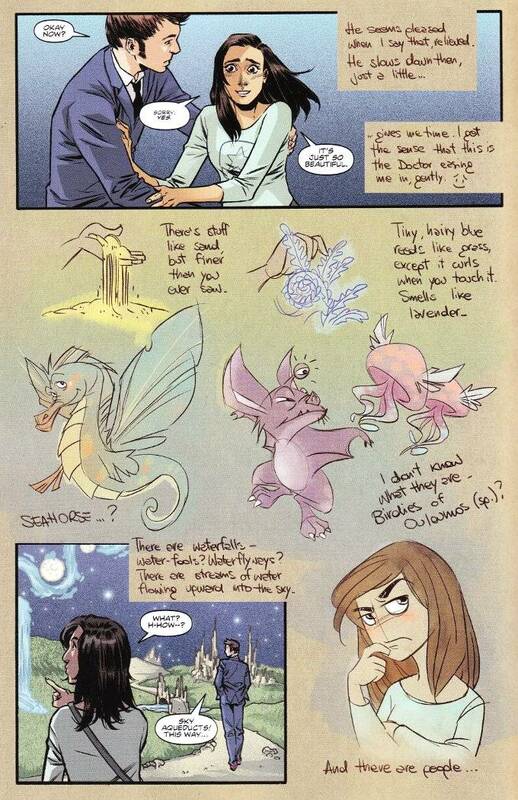 But it is Arianna Florean who truly makes this issue stand out as something special, turning her talents towards creating Gabby's journal and telling us what a trip with The Doctor is like through cartoonish, Disney-esque pictures. It is through these pictures that we see how Gabby views The Doctor as well as how she perceives the unusual animals of this brave new world.